On October 9 1989, Madonna’s Cherish spent the first of two weeks at #1 on Canada’s Top 100 Singles chart. 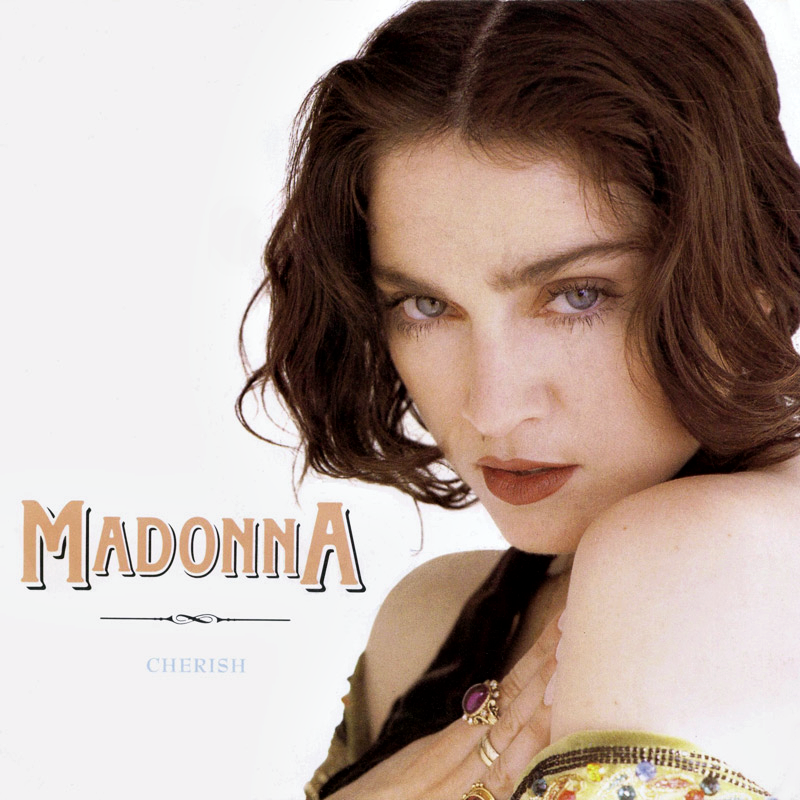 On October 7 1989, Cherish, the third single from Madonna’s incredible Like A Prayer album started the first of a two-week run at #1 on Billboard’s Hot Adult Contemporary chart in the USA. Cherish was Madonna’s third single to top the A.C. chart, following the 1986 ballad hit Live To Tell (3 weeks at #1) and 1987’s La Isla Bonita (also 1 week at #1). 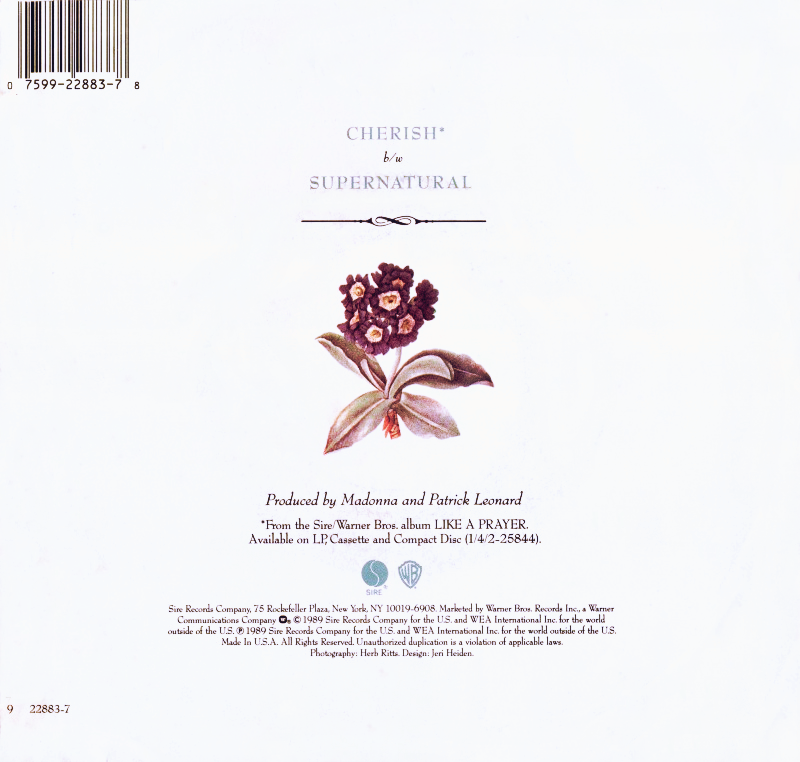 Cherish was a particular triumph for the Madonna/Patrick Leonard partnership. A delightful confection of radio-ready proportions, the song had it all—strong, positive, remarkably dysfunction-free lyrics about love, a memorable, singalong vocal melody, and a tight, pungent rhythm arrangement. It remains, quite simply, one of the best songs Madonna has ever written; sweet and happy, but by no means corny, it’s a perfectly constructed pop song which Madonna delivered beautifully, and with undeniably sassy charm. Indeed, if Cherish had been released in the Sixties, it would have most likely emanated from Detroit’s Motown or the New York song writing Mecca, the Brill Building. On July 22 1989, Herb Ritts directed Madonna’s Cherish video. The black and white music video was filmed at Paradise Cove Beach in Malibu, California.